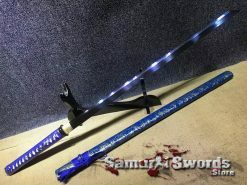 Every warrior has his preferred weapon and the Shinobi of feudal Japan has chosen the Ninjato sword as theirs. 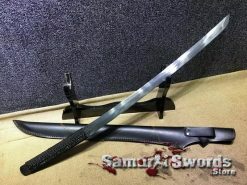 It was believed that the design for the Ninjato sword was based on the wakizashi or chokuto swords. 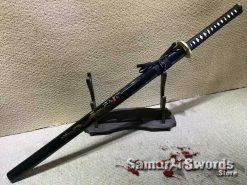 There is lack of physical evidence about the presence of this Japanese Ninjato in both the Sengoku and Edo period which safely allowed history to chronicle the presence of Ninjato in the 20th century and onwards. 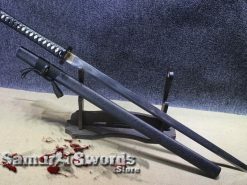 Starting from the mid- 1960s, the Iga-ryu Ninja Museum in Japan has housed sword replicas of the Ninjato. 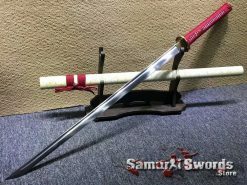 The last known history about this sword was during the mid-1980s when the first American television production who feature these kinds of swords mentioned the presence of this sword. 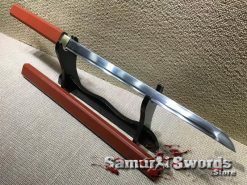 There is nothing so special when you look at a short sword even if it has a straight blade with a square guard. 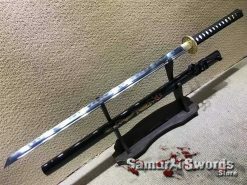 However, bear in mind that this sword was closely identified with the Ninja which remains famous even unto this day. Ninjas do forge their own sword from slabs of steel or iron. Since they are not really swordsmiths by profession it was easy to create straight blades instead of curved ones. 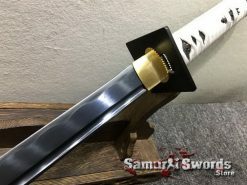 Another reason why this sword was designed to be this way could be because the Ninja were deity of Buddhism whose patron they decided to emulate. 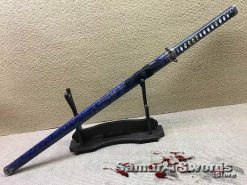 It was more about convenience that Ninja warriors decided to choose a blade that was short and straight. 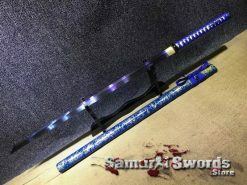 The Ninja sword allowed these warriors to draw their swords quicker and cutting with it as a form of defense or attack. These warriors have also mastered the thrust fencing technique that allowed them to do reverse grip during battle with enemies. 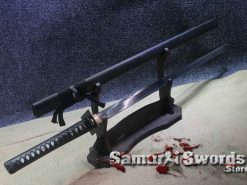 Ninja are known to use one weapon for different purposes the same thing applies with the Ninjato. 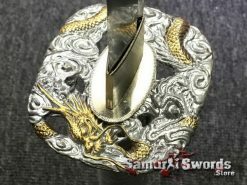 The tsuba or guard of this sword was made larger than the average one and shaped square to be used later as a step to extend his normal reach. 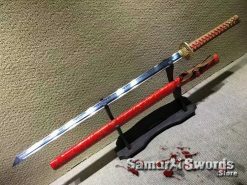 The sword would be retrieved by pulling the saya cord after he successfully accomplishes his task. 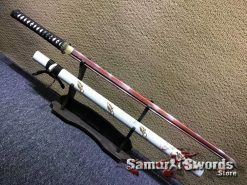 The construction pattern closely resembles that of its more practical counterpart: the Katana. If you are a student about the way of the Ninja this will allow you to get to know them better. The neighboring Iga and Kouga clans of feudal Japan were bitter enemies. Their ongoing battle went on for centuries. These are warring families that have been mentioned in Japanese literature. 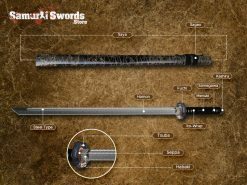 These warriors use this sword to fight each other. 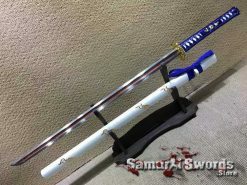 However, different swords were made for each clan. It was easy to know which clan attack the other because of the sword that they use. 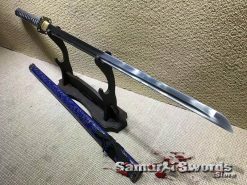 The blade of the Ninjato is hand forged in high carbon steel. 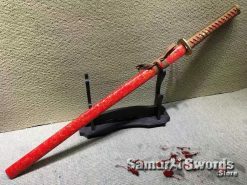 Using the clay tempering method this sword is hardened after the forging process. 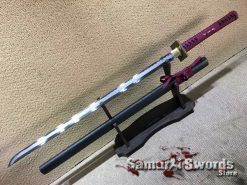 This sword is fully functional. 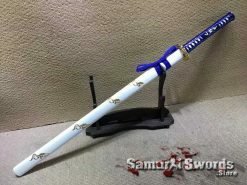 It is said to be similar to the Samurai sword. These swords may not be that long but, they are sharp. 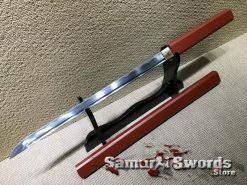 This sword is light weight and yet durable. Because some were created with great designs these can be used for displays in home. 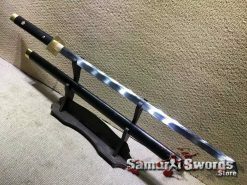 Even some might view these swords as inferior to the Katana, it can be useful otherwise Ninja will not use this. Added to the fact that Ninja were not recognize to belong to any social class in Japan. Practicing and training with weapons is a must especially for Ninja. 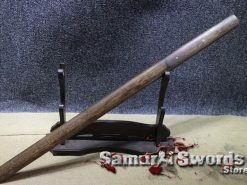 Some sword maker made wooden swords that look like the original. However, these training weapons can only be used with certain limitations, This can advance the skills of a warrior. To be considered special the ninja sword must be sharp and fast. 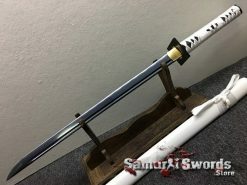 It must have good penetrating powers especially when used during cutting and thrusting practices in martial arts. 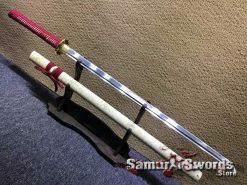 These swords are sold today for decorative or use in practicing martial arts. 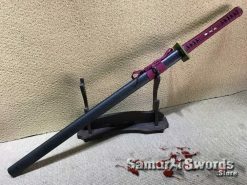 The Ninjato swords are created with a short or long blade and some people prefer regular Kissaki, but some prefer it with Kiriha Zukuri Kissaki. 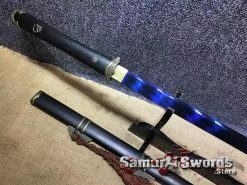 When practicing with the swords because of martial arts, using the sword this way cannot be avoided. 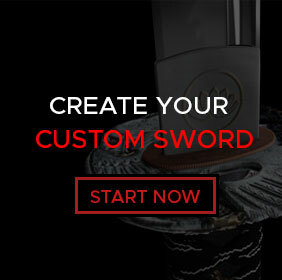 With the right maker and sword it could be a great one. 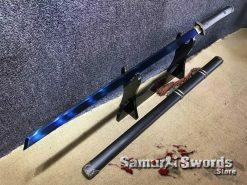 You will not regret paying for the price because the Ninjato is well worth it in every sense of the word. 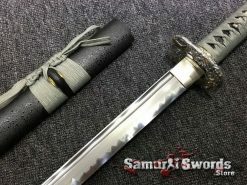 A word of warning though because these swords can be very sharp in case you opt in for that option, so handling the sword with care is highly recommended . Slicing soda cans will not be a problem because you are facing an inanimate enemy. 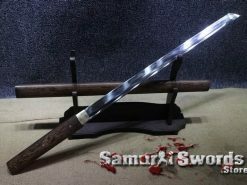 There are modern sword makers who pay tribute to the traditional sword but, is interpreted in a Hollywood Ninja sword kind of way. Some of these are tastefully done. 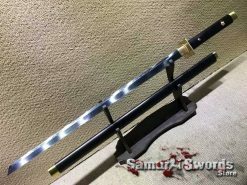 Craftsmen who are good at decorating can still create a piece of art that will catch your undivided attentions especially if you like swords. A true test of knowing if you got the right ninja sword would be to use it in cutting and thrusting. This must be both accomplished with great effectiveness. These functions are the measurement on whether this version can be at par with the battle ready ones. 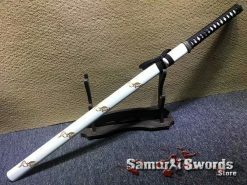 There are still some remaining respectable sellers out there who sell swords that are worth the price. 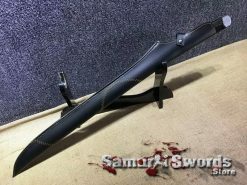 This proves once and for all that this ninja sword did exist.